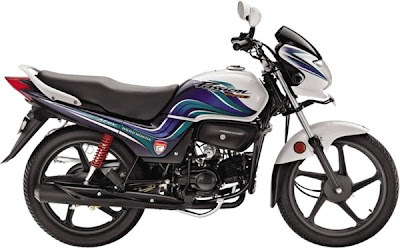 Hero Honda, India's one of the biggest two-wheeler market leader, has launched an Commonwealth Games special limited edition of its most popular commuter bike, New Hero Honda Passion Pro. The new Edition is available with attractive Price tag of Rs. 46,300 (ex-showroom Delhi). As per official reports of the company, the new bike is designed as a collector's item to celebrate the company's association with the Commonwealth Games. Anil Dua, senior vice president (marketing and sales) of Hero Honda Motors said,”We are confident that the bike will be a craze amongst the sports-loving youth owing to its design, looks and irresistible features. The new Hero Honda Passion Pro has an all-white body with sporty looks, striking new dual-tone blue and green graphics inspired by the colours of the Games." The new CWG special edition of Passion Pro is available with the special XIX CWG 2010 insignia on its side cover. The Hero Honda Passion Pro CWG edition is dedicated for Commonwealth Games 2010. The based model of Passion was introduced in 2001 and till date it is one of the leading selling bike in the Indian auto market. After the successful launch of Passion, the company had launched an refreshed version in 2003, called as Passion Plus and Passion Pro was also unveiled in 2008 with electric start. The company presently selling 2008 version and improved version of Passion Pro, which is additionally packed with Digital meter, Self Start and latest large tail light which makes it more stylish. Hero Honda Motors Limited is also known as a corporate promoter of sports in India and presently has been associated with Hockey, Cricket and Golf Games. 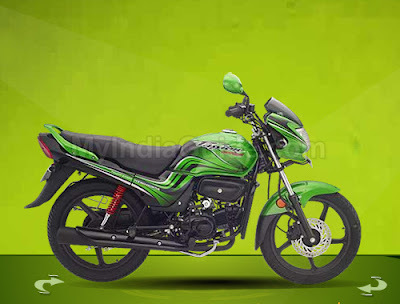 The company has also recently launched an upgraded versions of the company flagship model, Hero Honda Splendor Pro in the Indian auto market. The company also looking forward to launch an low cost range bike soon in India.